The Oriental Magpie-Robin (Copsychus Saularis) is a relatively common species with several (8) sub species, the sub species differing in their plumage, black belly with white tail feathers, white belly with black tail feathers, etc. This particular bird was photographed in Assam, India. Like many of the birds I saw there, it was at a distance and required the super telephoto lens (500mm) to capture it. The image was taken at quite high ISO and so there was some digital noise to overcome. In this case I used Noise Ninja which I found was effective and fairly simple to use. I got to a result I was happy with without straying too far from the default settings. 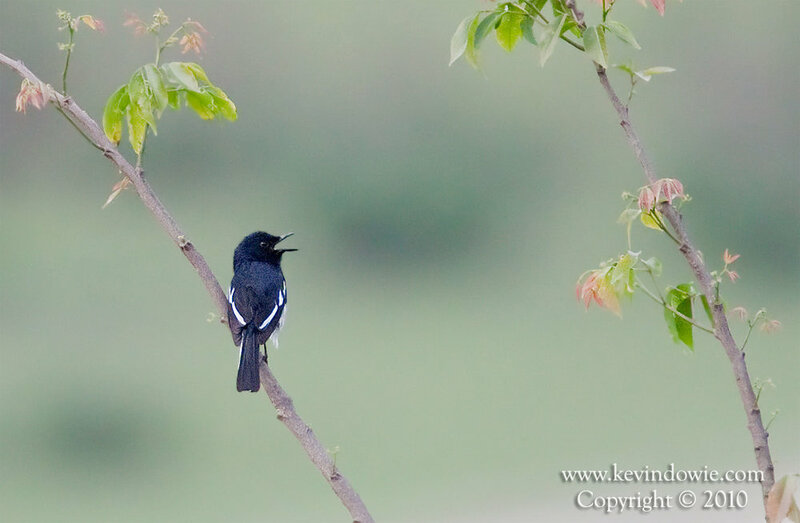 Oriental Magpie Robin, Assam, India.